A commission created for the celebratory Sgt Pepper at 50 festival which the City of Liverpool staged last May and June to commemorate the semi-centenary of the album’s release, Pepperland is presently on a 25-city world tour that took in Toronto’s Sony Centre last week, the work’s first and only Canadian stop. Morris attended the Canadian premiere, which the Banff Centre in Alberta co-produced, declaring it a great success at the post-performance party at which Beatles music and traditional English fare like fish and chips dominated even the choreographer’s outsized personality. He is right to feel pleased. Morris is clearly a fan. At 61, he is old enough to have experienced Beatlemania the first time around. He had a crush on Paul, a.k.a. The Cute One, and in the summer of 1966 went to see the Beatles play in his hometown of Seattle on what was to be their final live concert tour. But that said, his respect for the band and their music is not slavish. With Pepperland, he has allowed the influence of the Beatles to push him and his team towards creating something original of their own. The work succeeds on its own merits. This is not The Beatles exactly as you know and love them (and some diehards might not appreciate the lack of reverence). 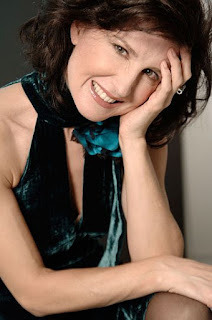 This is more The Beatles reimagined, and from a distinctly American (jazz, Broadway and the frug) point of view. But while energized by American vernacular art forms, Pepperland has an eye focused on its inspiring overseas source. Elizabeth Kurtzman’s eye-popping costumes capture the Op art, Pop art and lurid LSD influences that made the look of the period as influential as the sounds of the British Invasion which, 50 years ago, completely overhauled pop culture as we now know it. Nick Kolin’s lollipop-coloured lighting design continually transforms Johan Henckens’s spare set consisting of a ragged rear line of sparkling rocks (a reference to "Lucy in the Sky with Diamonds," perhaps? ), creating visual interest while also stimulating the emotions (and making you think of those Day-Glo military-inspired costumes the Beatles are wearing on the album’s inner sleeve). These decorative details remind us that the Beatles era was a time of kaleidoscopic change; the old guard was then making way for the rapid rise and eventual dominance of youth culture, and the moon race was making futurists of us all. 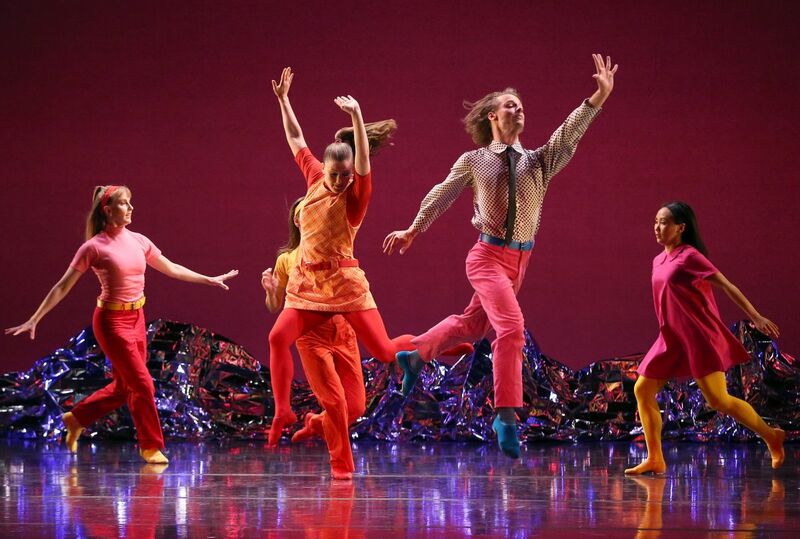 With Pepperland, Morris puts his finger on the utopian ideals of the 1960s zeitgeist. Though it doesn’t contain a story – nothing so obvious as that – his work could be said to be about a period when expanded consciousness was the goal that everyone who believed in flower power (the Beatles among them) trusted to be achievable. The underbelly of the decade is not here included – there are no anti-war protest movements, no Civil Rights marches, and no Hell’s Angels busting up the party. This piece is about peace. It exists on an emotional high. Propelling it to an elevated plane of experience is Ethan Iverson’s jazz-inflected (and wildly uninhibited) arrangements of six Beatles songs – the Sgt. Pepper’s theme and reprise, "When I’m Sixty-Four," "With a Little Help from My Friends," "Within You Without You," "A Day in the Life" and "Penny Lane," the single originally conceived to be part of the conceptual album’s play list. An acclaimed jazz pianist and co-founder of the rules-breaking New York-based trio, The Bad Plus (only recently disbanded), Iverson reworks these familiar rock classics in a way that makes you listen to The Beatles anew. Which is no easy feat. Fascinatingly, the composer plays with our memories of those iconic songs, playing enough bars to get us wanting to sing and clap along before pulling the plug, so to speak, and allowing the sonic experience to wander (where it will go) in a new direction. Notes sound deliberately discordant; those famous harmonies have gone askew. Iverson, who plays piano in the pit surrounded by other top-rated New York jazz musicians on top of a vocalist and a theremin player (talk about space age) he hand-picked for the Pepperland tour, has drawn on The Beatles' own spirit of experimentation for his score. His score contains interstitial music he created to lengthen the dance beyond the album’s original 40 minutes and it amplifies the classical instrumentation and the avant-garde musique concrète influences which shaped the studio album that The Beatles always knew would be hard, if not impossible, to play live. Musical additions include a scherzo, a lighthearted piece with a quick tempo, rondo, a repeated form, and jazz improvisation. It’s a way-out mix. Morris, a choreographer celebrated for his acute sense of musicality, throws his imagination at both Iverson’s and the original Beatles score. His dance begins and ends in the round; it braids like folk dance (an early influence on his work), and rotates and extends upwards like a piece of classical dance. The movement sings, sometimes literally so. Taking inspiration also from The Beatles’ lyrics, his choreography crawls low on the ground in imitation of soldiers shimming under barbed wire (an illustration of the John Lennon line, “The English army had just won the war" from "A Day in the Life") and flies as a result of dancers holding each other aloft to dip and dive through the air (an exuberantly literal interpretation of the Ringo lyric, “I get high with a little help from my friends”). There are other delightful connect-the-dots moments. 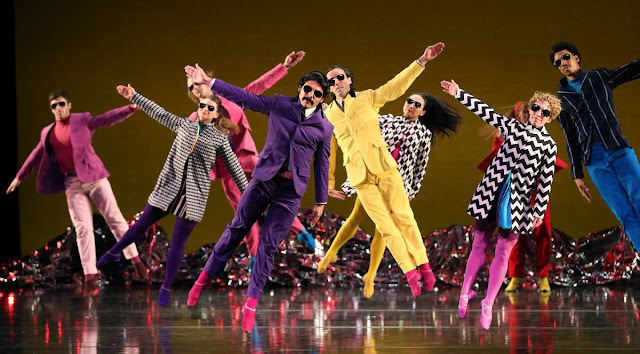 Towards the beginning of the work, dancers are introduced as Oscar Wilde, Karlheinz Stockhausen, Shirley Temple, Marilyn Monroe and The Beatles themselves, a reference to some of the cast of characters on the Peter Blake-designed Sgt. Pepper’s cover. Morris is clearly having fun with his own fandom. But there is a moment of solemnity and it arrives mid-point with an interpretation of "Within You Without You." This George Harrison composition, one of the first songs in pop music to feature classical Indian musicians and instruments, is the spiritual centre of Pepperland. A solo dancer sits cross-legged in a mediation pose, his eyes covered with wrap-around glasses, while around him the group faces each other to dip, sway, float and sail on the transcendental lyrics sung by Clinton Curtis from the pit. The dance emerges as a delicate portrait of life and death that slowly drifts into your innermost being, stirring up feelings of connectedness and joy. Which is love, what the Beatles always said was the answer, by another name.